Note: One or more Commissioners and/or the Executive Director may attend any or all of the sessions below unless otherwise noted. This calendar serves as notification to the press per RCW 42.30, Open Public Meetings Act. Questions should be referred to the Executive Director, (360) 297-3545. 1 p.m. Port of Kingston Commissioners Work Session, Kingston Cove Yacht Club. 7-8 p.m. Kingston Citizen’s Advisory Council, Village Green Community Center – Summit Room. 11:45 a.m. to 1 p.m. Kingston Chamber Luncheon, White Horse Golf Club, Kingston. Guest speakers Phil Cook & Meredith Green. 4-5 p.m. Kingston Events Committee, Location: D’Vine Wines. 9-11 a.m. Kingston Stakeholders, Village Green Community Center – Meeting Room. 6:30-7:30 p.m. Ferry Advisory Committee, Village Green Community Center – Summit Room. 9 a.m. – 10 a.m. Port Commission Work Session, Port of Kingston Conference Room. 5-7 p.m. Kingston Chamber After Hours, hosted by Puerto Vallarta Mexican Restaurant, 8208 WA-104 #106. 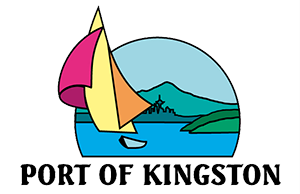 9-10 a.m., Port of Kingston Commissioners Work Session, Kingston Cove Yacht Club. 6:30 p.m. Kitsap All Ports Meeting, Port of Brownsville, Brownsville, Washington. 2018 Washington Public Ports Association Port Day, Washington Capitol Campus – Cherberg Conference Room, 416 Sid Snyder Ave. SW, Olympia, Washington. 1-2 p.m. Port of Kingston Commission Regular Meeting, Village Green Community Center – Windermere Room. 9-10 a.m. Port of Kingston Commissioners Work Session, Kingston Cove Yacht Club.